The primary aim of Ghodaf Bus Company is to become the leading corporation focused on the trading, servicing and maintenance of buses in Jordan. Established recently to compliment the other automotive industry services provided by Ghodaf Vehicles, the company has already secured a deal to be the exclusive dealer of Golden Dragon, which is one of the noted Chinese bus manufacturers. With over 30 dedicated and professional staff members, the company will further expand its operations with added services such as the trade in bus spare parts and accessories and the establishment of major show rooms throughout Jordan. Ghodaf Automotive has captured a niche for itself by serving the currently under-served budget auto market in Jordan, by selling cars that offer the greatest value for money with most affordable prices that are within the reach of the average Jordanian consumer. 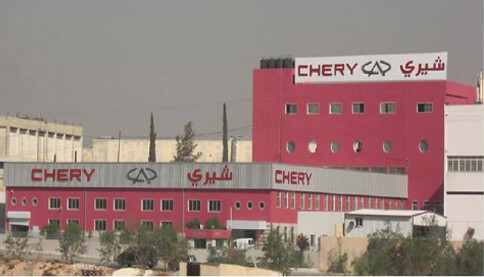 The company currently owns the exclusive dealership to Cherry Cars, which is one of the most renowned auto brand names in China, in a recent major acquisition of the brand in Jordan. The company has commended plans to market the brand with massive outreach campaign and establishment of new show rooms and service centres. To complement its extensive auto retail and real estate operations and to offer the most comprehensive services to its clients, Ghodaf Group for Vehicles has established Ghodaf for Financial Leasing in 2010. 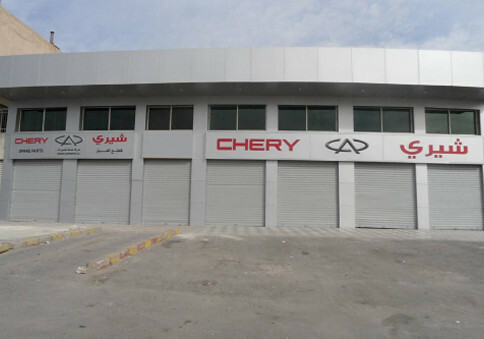 This development allows Ghodaf company to become one-stop shops for clients interested in purchasing cars or real estate through one of Ghodaf Group's subsidiaries. The company offers excellent leasing opportunities (including lease to own) at the best possible lease conditions including low interest rates, grace periods and loan repayments. 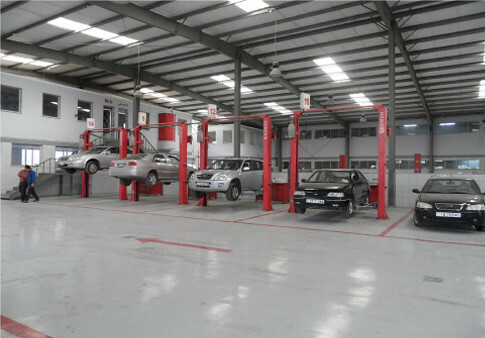 A pioneering company in Jordan and indeed much of the region, Ghodaf for Industrial Investment's Primary aim is the manufacturing of auto parts, especially vehicle structures, and to offer services in the general maintenance of the vehicles not offered in the Jordanian market. Through its flagship comprehensive maintenance centre, called Megashop, the company has served hundreds of if not thousands of satisfied customers who have become dedicated to its value offer and commitment to quality. To complement its activities in the auto retail, Ghodaf Group has established Ghodaf Auto Leasing which will serve as a pillar for the auto trade activities, offers Ghodaf's clients a comprehensive service in this important sector. Copyright 2019 © Ghodaf Group All rights reserved.